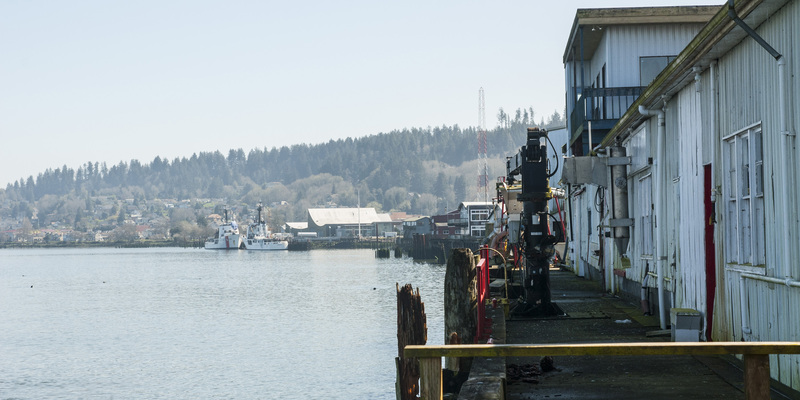 Located on Oregon’s northwestern tip, Astoria makes for the perfect long-weekend getaway town. With a historic waterfront and a variety of activities for all ability levels, there’s no lack of things to do. We’ve gathered together a range of places to see and vistas to enjoy. We guarantee you’ll be making repeat trips to this special city. This itinerary can be done in either direction, depending on where you are coming from. Heading west from Portland, make a beeline for Astoria. There are several ways of getting there, depending on your mood and tolerance for stoplights. Travel along Highway 30 the entire length and see the Columbia River roll beside you as you cruise. Alternately, you can drive north on I-5 and then cross the Columbia in Longview. There are merits to both, depending on time of day you are traveling. When you arrive at last, the Astoria Riverwalk makes a welcome first stop. Stretch your legs, find a bite to eat at one of the numerous brewpubs and restaurants, and listen to the sea lions barking. After fueling up, head up the hill for spectacular views of the entire region at the Astoria Column. A relic of the railroad building heydays, the artistry on display is worth a close look. Then, head still further west to set up your basecamp at Fort Stevens State Park Campground. Oregon’s largest. With 482 campsites of various types, there are a lot of choices available. In busy summer months, reservations are highly recommended as this is a popular spot. Once camp is set up, begin checking out Fort Stevens State Park. With relics from its military history still available for viewing, bike paths, beaches, and freshwater lakes, Fort Stevens can fill a day all by itself! Start your day with a brisk hike through lush forest. The Kwis Kwis Trail and the Fort to Sea Trail are well-maintained and fairly recently constructed. Located within the historic Fort Clatsop, an impressive historic replica of Lewis and Clark’s winter fort, you’ll gain a real sense of what early explorers experienced when first mapping the area. Interpretive trails abound here, making it a perfect spot for families with small children. If hot weather has your gang cranky and ready for a break, Youngs River Falls + Swimming Hole might be just the spot. With a 50-foot waterfall, there are splendid views while you cool off. This place can be crowded in summer months, however. Remember to do your part following Leave No Trace principles. If you pack it in, please pack it out. Pack up camp and head for Gearhart Beach, which is dog-friendly, and consistently less crowded than the beaches in Seaside. You can even drive out onto the strand here if you access it from Highlands Lane. Know your vehicle’s limits, however, because it’s easy to get stuck in the sand! Kite-flying, clamming, and beach fires are all great options. Burning driftwood is illegal, however. After early morning strolls to collect sand dollars, lunch in the carnival atmosphere of Seaside is a nice contrast. Breweries and other local eateries offer a mix of choices. Back on the road and heading south, the Tillamook Head hike can be set up as a one-way if you are willing to shuttle cars. As a there-and-back, it can be longish (10 miles) with a significant amount of total elevation gain. The views are worth it, though. For a slightly less intense experience, the Clatsop Loop in Ecola State Park is a solid choice, with views of Terrible Tilly, the iconic lighthouse just offshore. If you’re feeling spicy, consider bagging Saddle Mountain as you head back to town for interior views of the Coast Range.